An estimated 1 in 4 women in Sub-Saharan Africa is a widow--due to HIV/AIDS, war and poverty. And many of these widows are young with young children. Just $86 a month for 12 months, or $43 a month to share in adopting a widow, pays for her training, a daily meal, food to take home to her children, literacy training if need, and sewing machine of her own. Won't you adopt a widow with your gift? 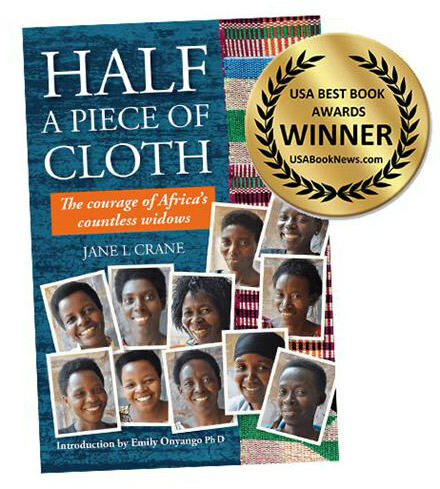 Jane L. Crane, Founder of Adopt A Widow, has traveled extensively in Africa interviewing widows, written a book on the subject, and earned a Masters in Peace and Justice with focus on women in Africa. Adopt A Widow partners with Tirzah International, a registered 501(C)(3) nonprofit organization with a 13-year history. Adopt A Widow is an advocacy organization that recommends certain programs.